We were contacted by a group of parents at a primary school in Brixton. 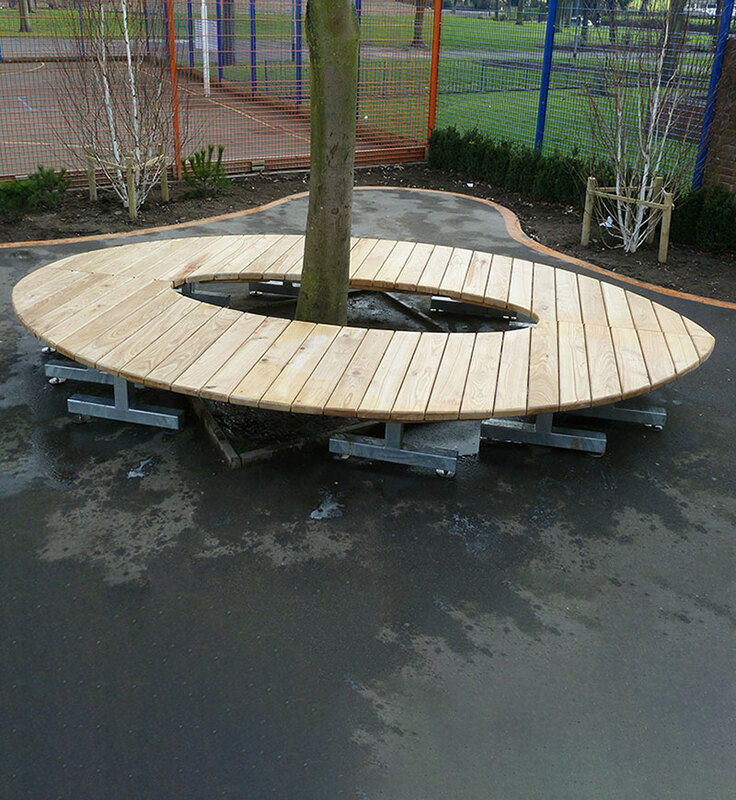 The school required some bespoke seating and planters. We worked with a local architect and made some bespoke playground seats with adjustable feet, from locally sourced Sweet Chestnut. We also made a very large Sweet Chestnut tree seat, which could seat a class of children. Finally, made some large planters for the playground. The work proved a big hit with the children, parents and teachers alike. The finest handmade hardwood street furniture and seating. At Chris Nangle Furniture Design we specialise in the design and manufacture of the top quality eco-friendly hardwood furniture for outdoor use. All of our products are extremely durable and designed to be both vandal resistant and maintenance free, our work will stand the test of time in both urban or rural environments. Our street furniture is produced using only the finest available materials such as prime grade native green oak and marine stainless steel. All of our hardwood comes from well-managed UK woodlands and is sawn by our local mill to ensure top quality timber with a minimal carbon footprint. With a blend of subtle lines, durability and high quality craftsmanship our street furniture, and public seating will enhance and complement any project. Copyright © 2019 Chris Nangle Furniture. All Right Reserved.